Michelle is a waitress born and raised in Los Angeles California. She has earned her Master's Degree in Clinical Psychology and is a Certified Transformational Life Coach. Waitressing has put Michelle through school and has funded many of her endeavors in life including singing, dancing and acting as well as her desire to teach and coach transformation. 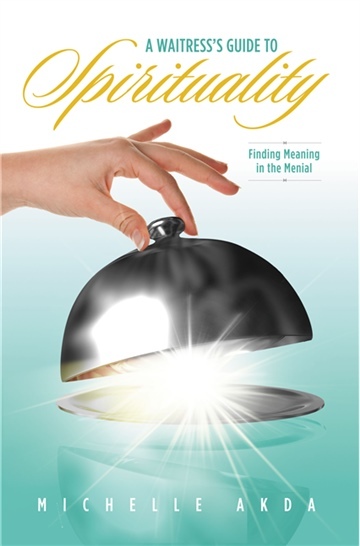 By sharing all that she has learned in the last 25 years of being in the service industry Michelle has created a Guide to finding meaning in one's daily life. Michelle is a Spiritual Pilgrim in search of living her life's dreams, and having been on this journey for more than two decades she is now speaking, teaching and coaching others how to do so as well. This is Michelle's first book and she is elated to share all of the Spiritual principals she has learned over her 25 year service career!! !